Ruins of a Roman agriculture village, on the south side of Hilazon creek. Ruins of a 1st/2nd C AD Roman village on a terraced hillside, south of Hilazon creek. 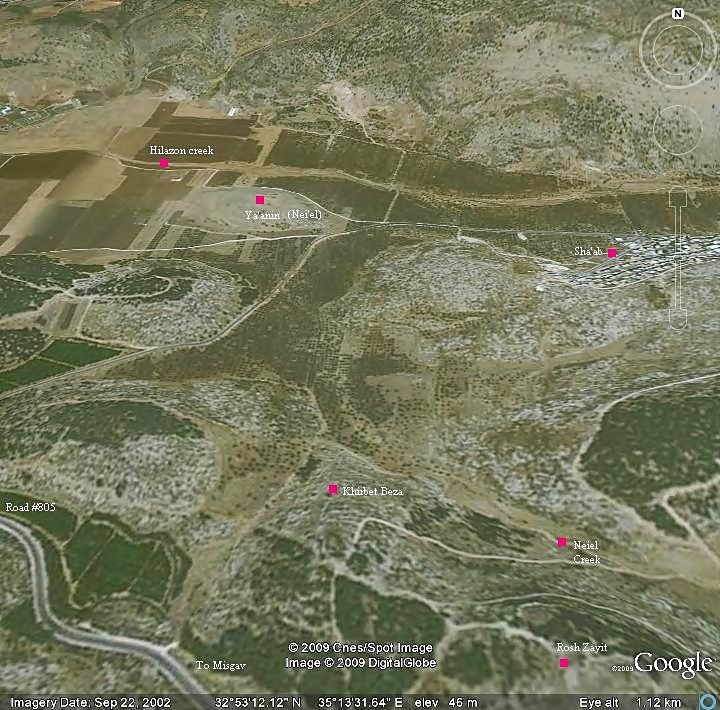 The site is located north to the road (#805) that climbs up to Misgav, 1 KM before the junction of Ya'ad. The height at the top is 86M, about 35M above the valley north of it. 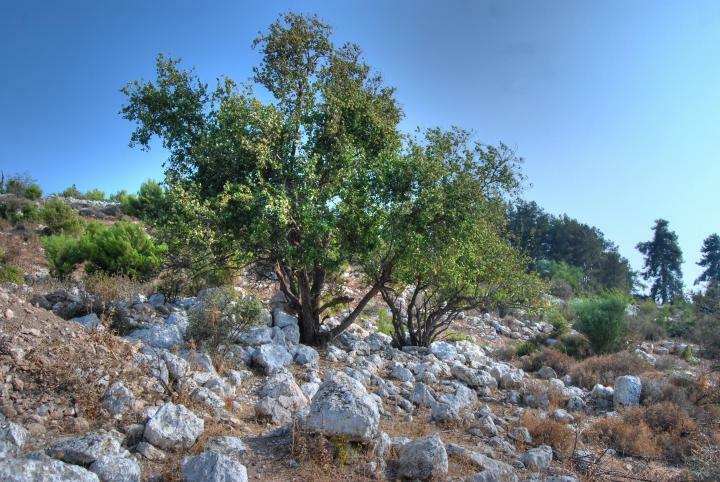 An ancient city was excavated in the nearby Khirbet Rosh-Zayit (Hebrew for: Head of the Olive tree), which is located on the hill just above the south-east side of Beza. The site was partially excavated and several of its structures were beautifully reconstructed, including an impressive Phoenician citadel from the times of the Israeli Kings (11th C BC), with storage rooms and vessels. 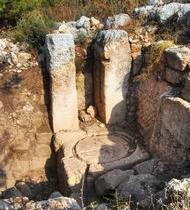 Additional residential buildings were also dated to the 11th C. These findings indicate that the site was a central administration and military post for the Cabul region, and according to some scholars this was the Biblical Cabul which was given by King Solomon to the Phoenicians (I Kings 9: 11-13). Rosh-Zayit was inhabited up to the 8th C BC. 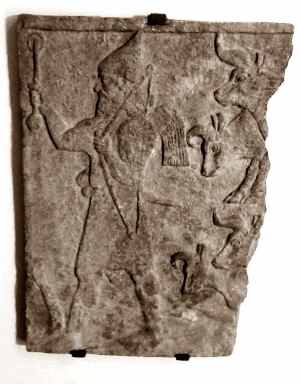 It was destroyed in the 8th C (734-732BC), after the intrusion Tiglath-Pileser III (Kings II 15: 29): "In the days of Pekah king of Israel came Tiglath-pileser king of Assyria, and took Ijon, and Abel-beth-maacah, and Janoah, and Kedesh, and Hazor, and Gilead, and Galilee, all the land of Naphtali; and he carried them captive to Assyria.". 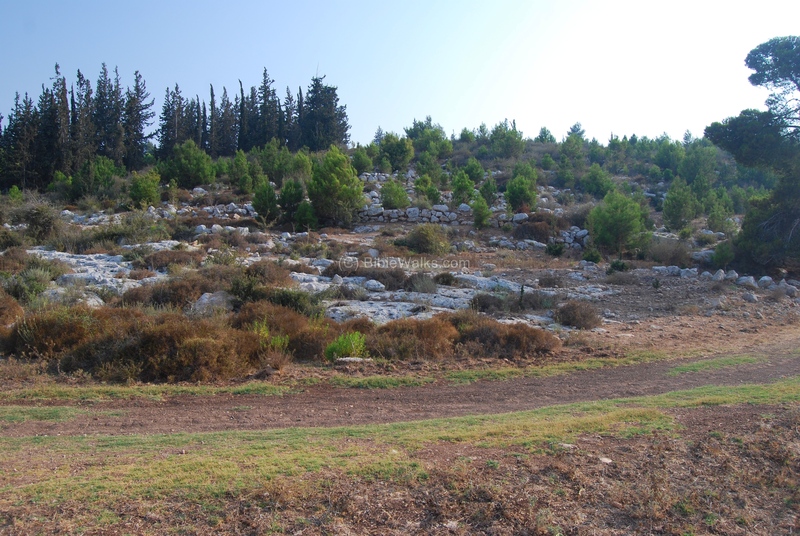 A Roman agriculture village was established 800 years later on the north-west side of the hill, 500M from Rosh-Zayit, and is called Khirbet Beza (in Arabic: Baz'awiya, Baz'ua). The ruins are scattered over the north terraced foothills, covering 12 Dunam. After initial excavations, the site was dated to the 1st and 2nd Century AD. The site was ruined in the 3rd Century AD and remained in ruins since then. The site was recently excavated (2007). The first season, managed by Motti Aviam, unearthed two oil press installations and a private house. The site is well preserved, but requires more digging. One day it could be coupled with Rosh-Zayit to become an archaeological park, as planned by the regional council of Misgav. A north view from a drone shows that the ruins of the site are covered by young pine trees. Notice the traces of walls and structures between the trees. In the left background are houses of Sha'ab, an Arab village along the valley of Hilazon creek. On the right background are houses of Moshav Ya'ad (founded 1974). Another drone view towards the south shows that the area of Kh. Beza borders the plains of the western Galilee. In the far left background are houses of community settlements in the Misgav regional council area, while on the right background is the Arab village of Kabul. 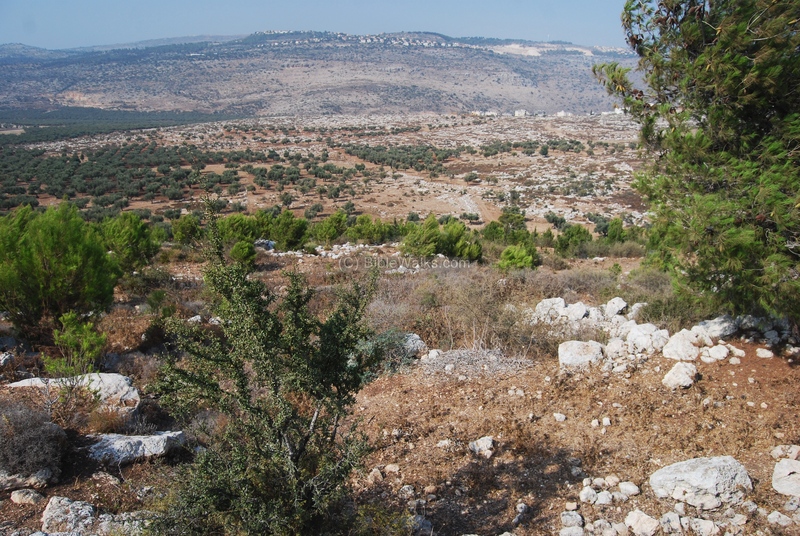 The photo below shows a view from the ruins of Khirbet Beza, looking north-west towards the Hilazon creek. 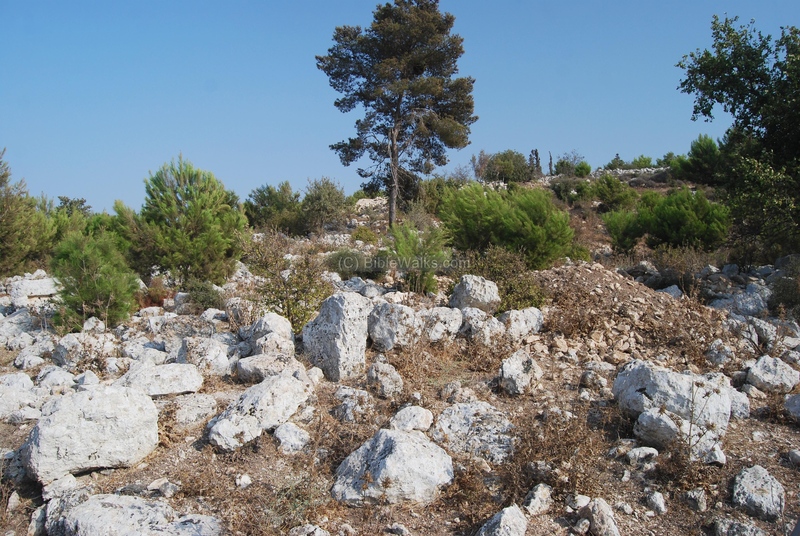 The ruins of Beza are spread over 12 Dunam (3 acres) on the north terraces, and sparsely covered with young pine trees, low bushes and thorns. 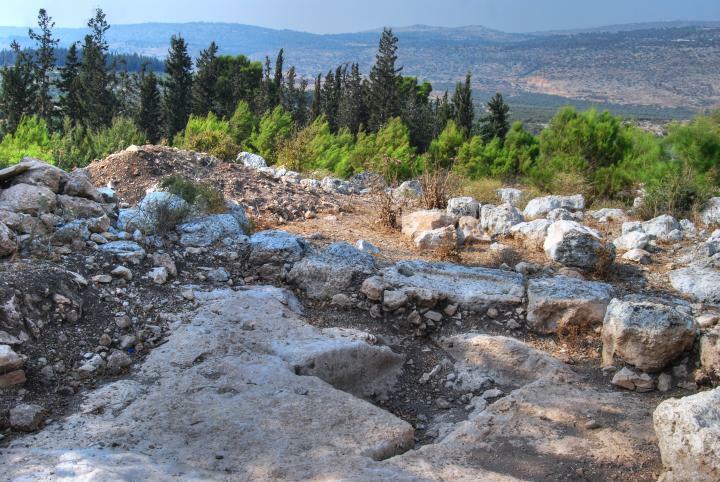 The Biblical site of Nei'el (Tell Yanin) is seen the center far background. Another view is seen from the site towards the plains of Acre (Akko), facing the west. The Mediterranean sea stretches in the far background. 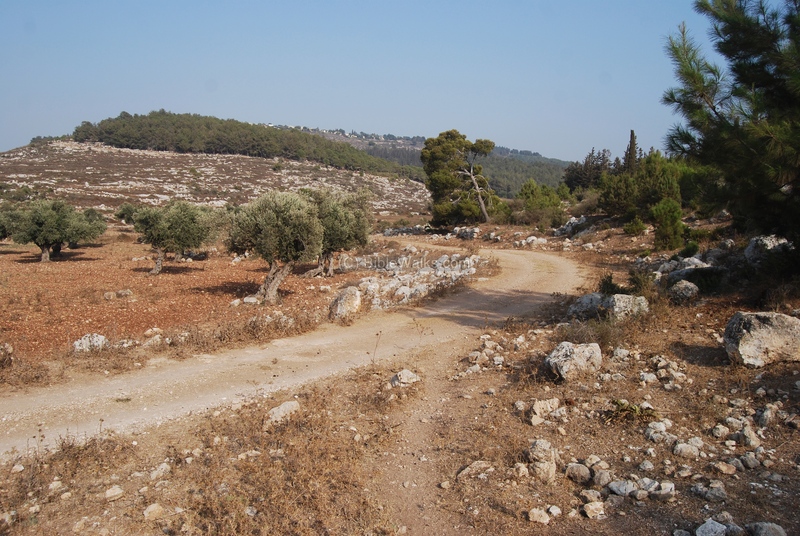 The modern road to Misgav is seen on the far left. A panoramic view of the north side is seen below. Clicking on it you will load it in high resolution. 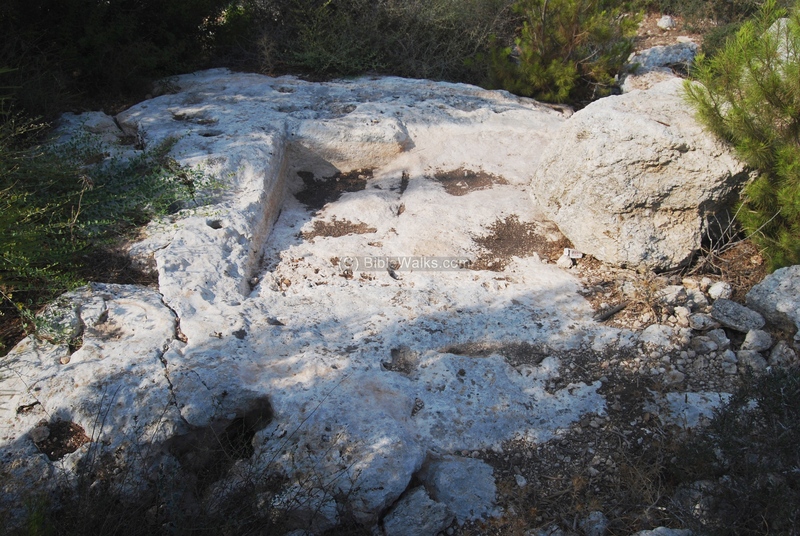 On the higher terraces of Beza, a rock-hewn winepress is visible. Its square treading floor, cut into the rock, leads to a collecting pit which is now covered by stones and weed. Around the winepress are traces of ancient walls. 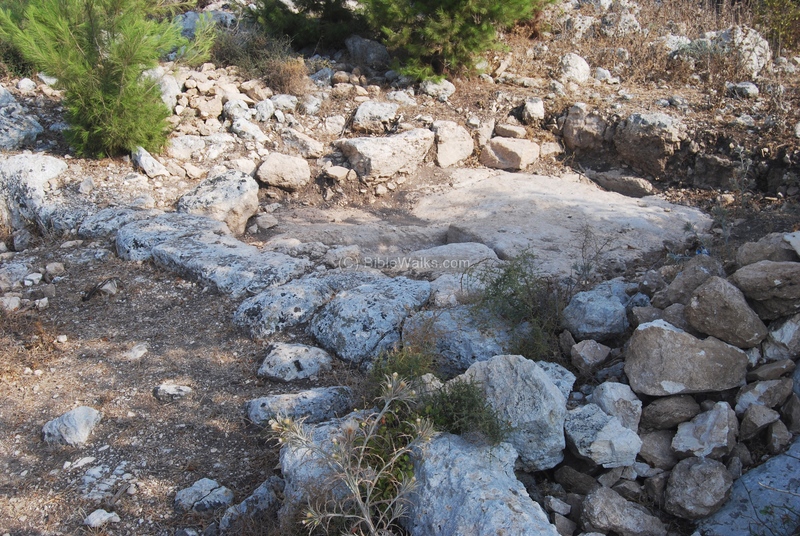 This section was not yet excavated at the time we visited the site. The ruins of the site are seen all around, and are mostly covered with centuries of accumulated soil and rubble. The photo below shows the north hillside, facing Hilazon and the southern side of Beit-Kerem. A new settlement, Gilon, is seen in the center of the top of the mountain, while another settlement, Zurit, is seen on that mountain on the far right background. Closer houses, of the village of Sha'ab, are seen on the right ridge over Hilazon. One of the excavated sections included a private house. The ruins and some of the dig's soil is seen in the photo below, viewed from the west side towards the direction of the top of the hill. Another view of the excavated area is seen below. After digging out the soil the floor of the structure has been exposed, as seen below. Another view of the floor of the house is seen below. In the background is the valley of Hilazon creek. On the floor of the house is a cistern, which was a reservoir that supplied water during the dry seasons. 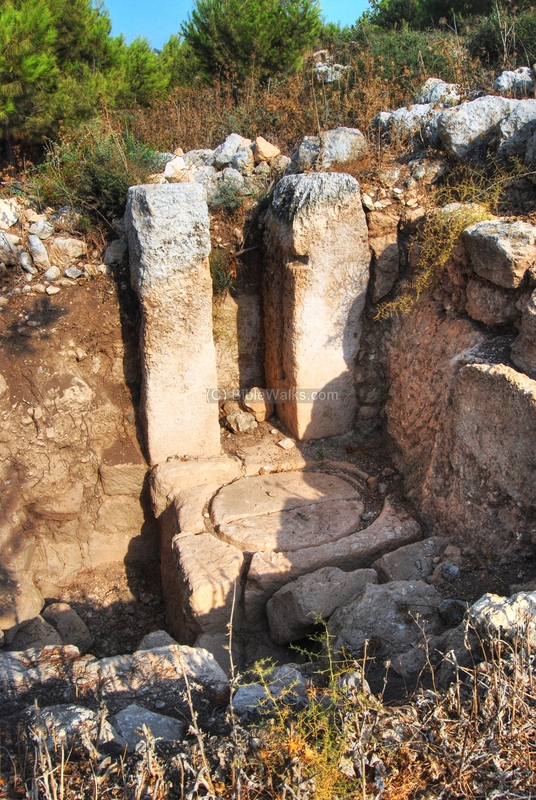 The excavations opened up some of the selected ruins inside Beza. 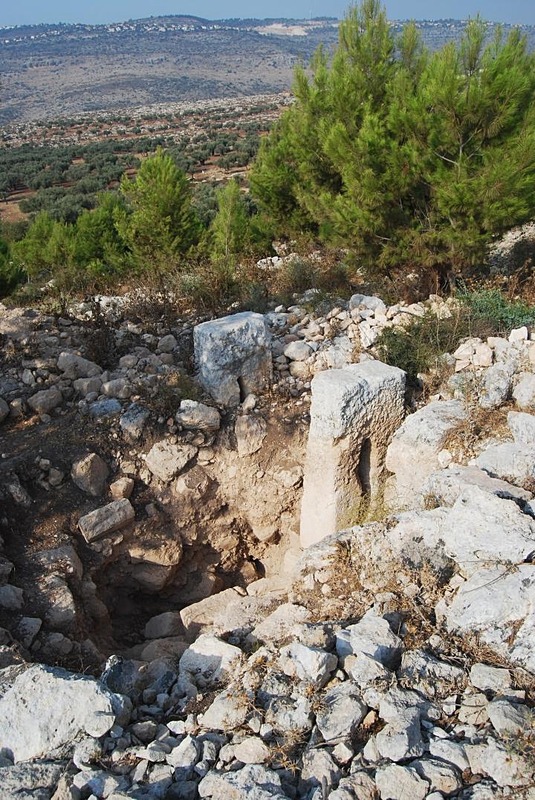 One of these is seen below, where a structure of an impressive oil press stands above the ruins. After digging out the soil, this impressive oil press was unearthed (classified as type #4.2 - lever and weight). In this process, a horizontal beam made of wood (now decomposed and gone) hanged on a pair of vertical pillars (seen standing upright), and was pushed, using a set of stone weights, down onto a round crushing basin (seen on the bottom). This crushed the olives that were assembled in baskets above the basin, extracting their golden juice which flowed into a collecting pool (under the basin). The oil was then collected into vessels and sold. A closer view of the bottom of the oil press is seen below. 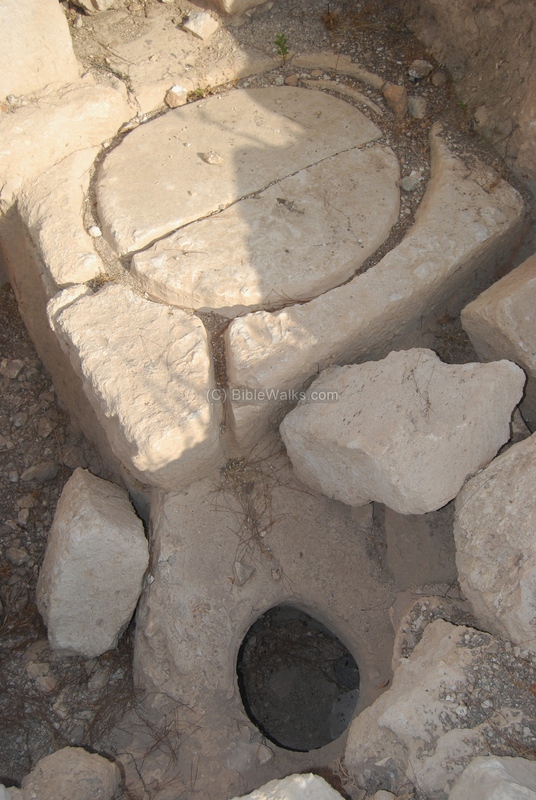 This crushing basin, with a round draining groove, was classified as "type 4.2.2" on Rafi Frankel's research of oil presses. 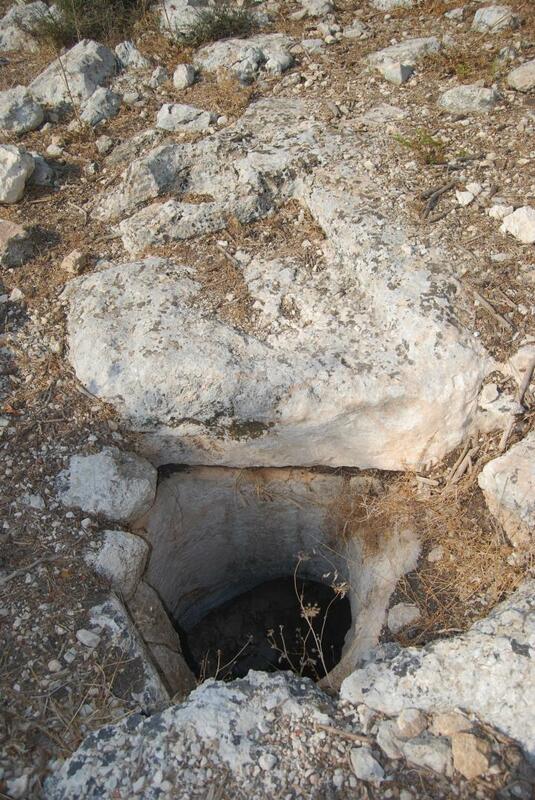 The olive juice would flow from the crushing basin's round drainage through a groove that is seen in the closer section, down into the collecting pool on the bottom of the photo. 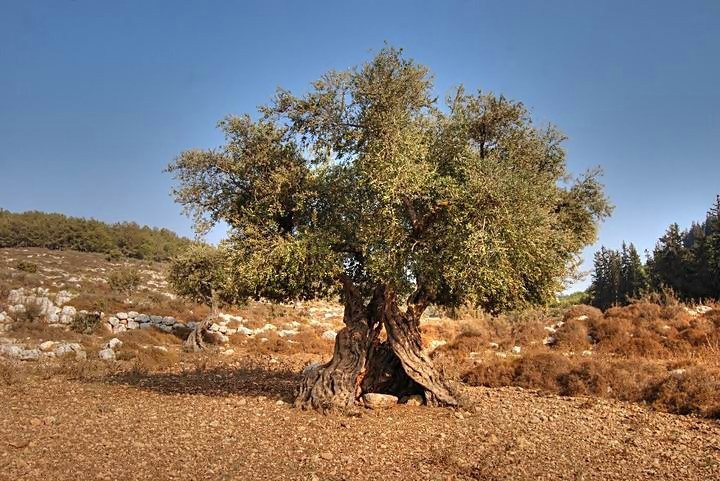 The oil production continued in this area for thousands of years, and many ancient olive trees are still standing all around the site and Hilazon creek. 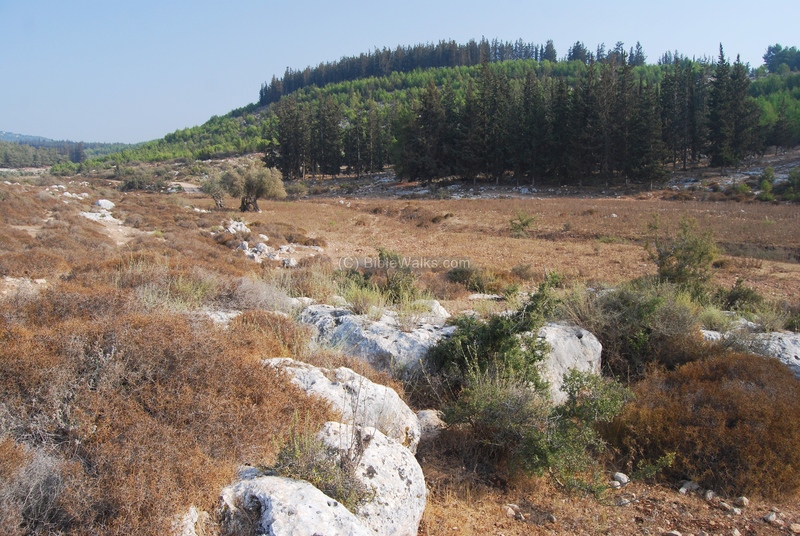 The north foothills roll down to the valley of Nahal Nei'el, a creek flowing from the hills of Misgav (seen in the far background) to the Hilazon creek. The dirt road seen below is based on the ancient route that led from the plains of Acre, along the Nei'el creek, and up to the hills of Misgav and Jotapata (Yodfat). Another detail of the road is seen below. 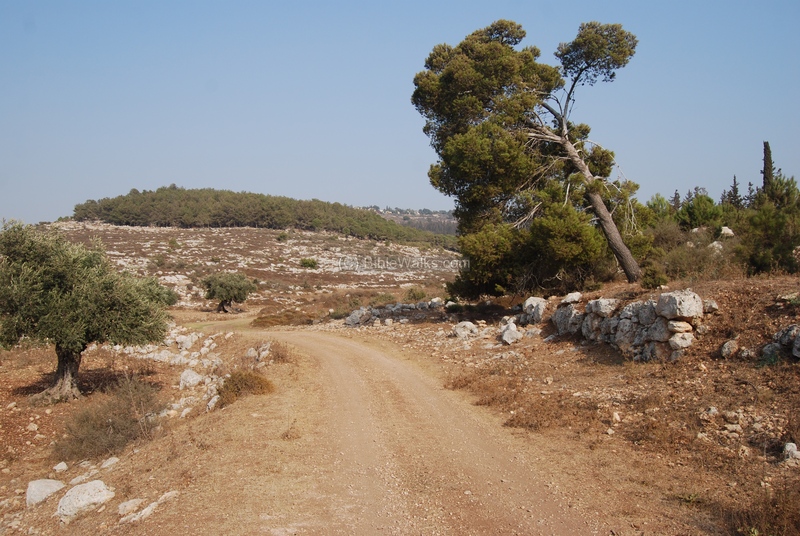 Khirbet Beza was located along this road; the base of its walls is seen on the right side. 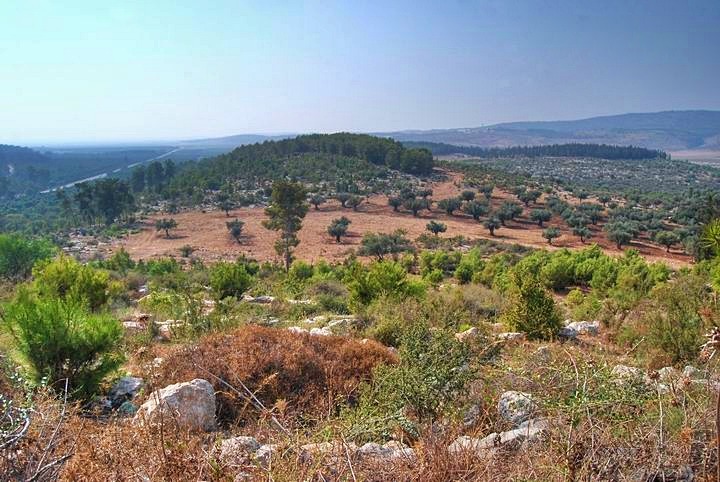 The photo below shows the Nei'el valley in the direction of the high hills of Misgav. 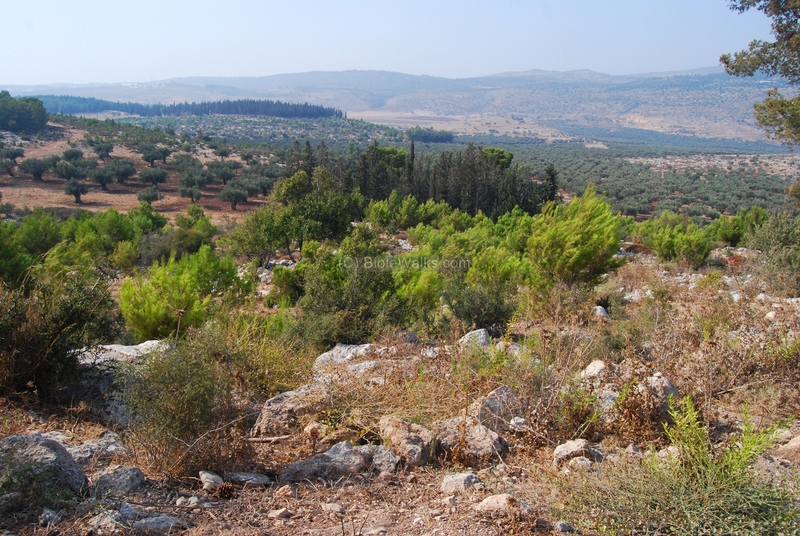 On top of the hill, beyond the trees, is the Biblical site of Rosh-Zayit. This was an Israelite structure from the times of King Solomon, has an impressive Phoenician citadel, and continued as an agriculture village until the 8th C BC. It preceded Kh. Beza by 800 years, but also processed the olive oil (its name means "the head of the olive"). In the site several oil presses were also reconstructed. The photo below shows a view from the valley, looking south. 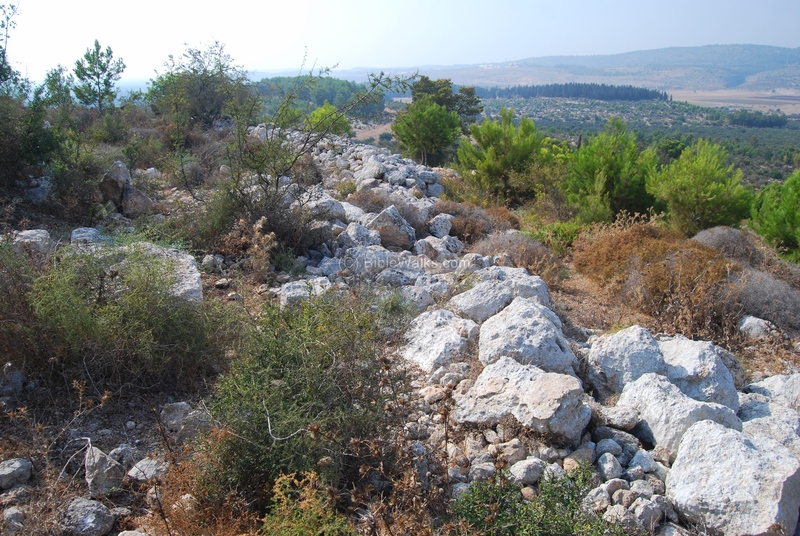 Traces of the ruins are visible on this north-east terraced hillside of Khirbet Beza. 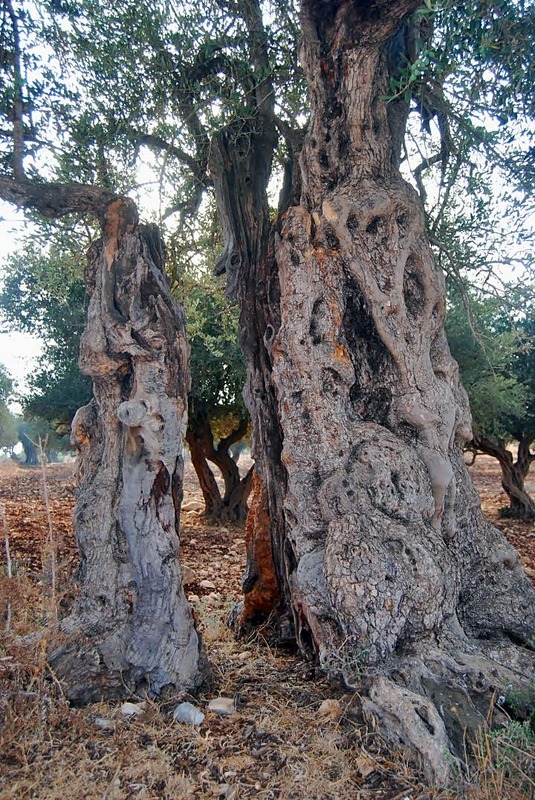 The Hilazon valley and the fields around the site are covered by olive trees, most of them aged 150-400 years old. Many interesting tree barks and formations can be seen, such as the tree in the photo below, which is located in the edge of the olive grove in the Nei'el valley, north to Khirbet Beza. Another olive tree bark is seen below, split into two sections. This olive grove is located on the west side of Beza. 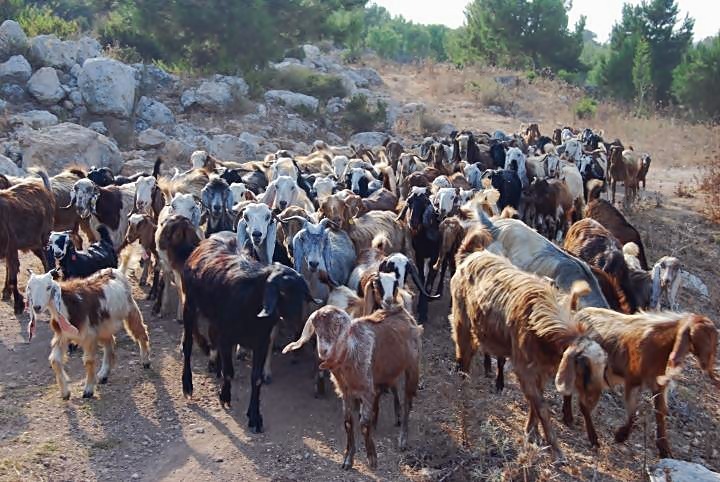 A herd of goats traversed the site, gobbling up the weeds and leaves. 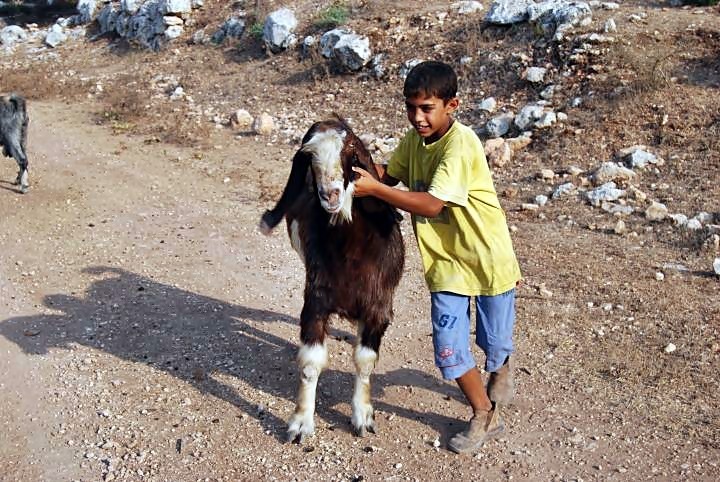 The shepherd's name is Mushsain, and he leads the herd back to his house in the nearby village of Sha'ab. 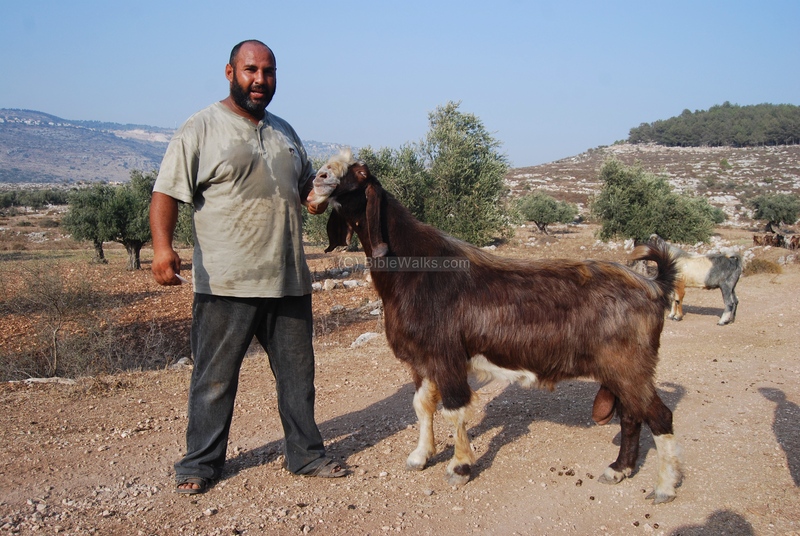 In the photo below he boasts on his prize male goat which leads the flock. His son is also proud in his own goat. Kh. el Bezewaiyeh - appears (with Rosh-Zayit) in the PEF map (1881-1883) and described as: "Heaps of stones, some hewn, all small, on the top of a terraced hill". Horvat Beza - name in Hebrew, based on the Arabic name. Meaning is (according to Saphir Dictionary): "slit" or "rip of a wound cut". P2k Trail - 35km route that combines an urban and nature reserve, uniquely designed for families and professional riders. It passes Kh. Beza. [ISBN 1850755191 1998] Frankel, Rafael. [ISBN 09177526066 1994] Frankel, Avitson, Ayalon.